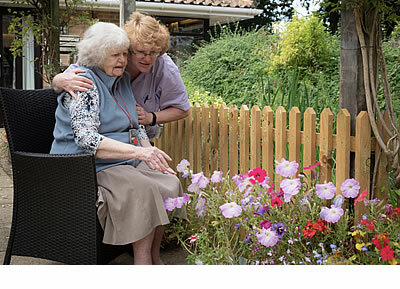 Quality of life is our focus and our expertise in providing person-centred care is, we believe, second-to-none. Our staff has the heart and desire to provide a confident and competent service whichever area of the home they work in. Every completed task is a team effort. Even the serving of a good cup of tea involves attention to detail, not only by the care staff but also by the kitchen, hospitality and administrative staff. Good communication is essential. This is just one of the many tasks that fall under the umbrella of successful management. 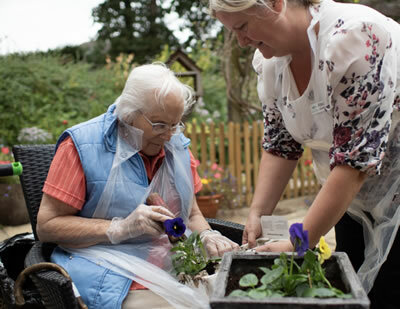 Our staff takes pride in being helpful and caring to our residents and we believe that this is one of the most invaluable ingredients that create a happy atmosphere and a place where people enjoy living and working. We work closely with local GP surgeries, district nurses and pharmacy. Local people will not have to change their GP surgery, therefore providing continuity of health care.